Attempting to swing on a buoy all year round would be a bit foolhardy. But the rewards for staying out there in the river as much as possible are high. The freedom to swing with the tide means I always know which way the water is going without consulting a tide table. The isolation is wonderful. No noisy pontoon creaking or footstep sounds as others walk up and down. No nosey neighbours peering through the windows and no need to get up and check ropes in the night if the wind picks up. Getting to and from the boat is another matter, as is not having any form of heating. The little yamaha engine that got a dunking a few weeks ago has ceased to work and is in need of some new parts that suffered the ravages of salt water. So rowing my little inflatable butter dish is quite some effort when the wind blows and impossible in a gale. 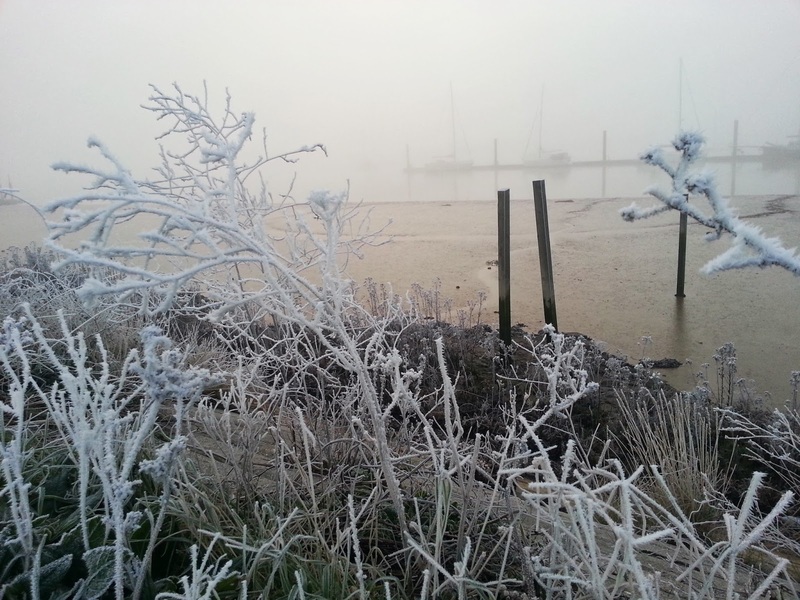 The temperature inside recently dipped to 5 degrees as the wind shifted to a northerly. Brrrr. Except my new heated blanket has been a marvelous revelation. I wish I'd bought it last year when the idea first came to me. So, as much as I want to stay out in the river on a buoy my choices for winter are forced a little to include finding an electrical point to power a heater. In the spring of this year I provisionally booked in to Limehouse marina in London, thinking the 15 minute cycle to work would be great and the cost of the marina being very close to the cost of the train seemed like nothing to lose. Apart from my sanity that is. Limehouse Basin in London - locked in but close to work. After careful consideration, weighing up mooring in a sheltered, locked (as in lock of the watery kind) basin with a busy commercial river running for miles with no wildlife or views for hours of cruising and no friendly marina staff or other sailing friends, or, to pay a bit more and have access to a pontoon where I am in Essex on the crouch, where I have free parking, friendly people, a pub within staggering distance, views of the sunrise and sunset over wildlife reserves and, importantly, a river I can go sailing in practically any time I like. Give or take an hour or so either side of low tide to get out of the marina. Limehouse would a convenient concrete prison that would pander only to my day job and in which I would merely exist. 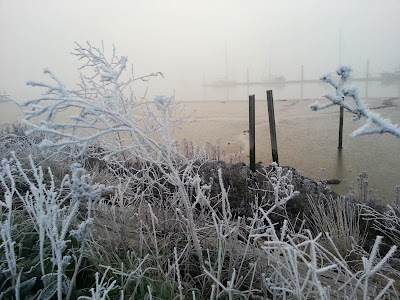 Fambridge is a long journey to the day job, but, I feel alive there. The people, the wildlife and location, it's too much to give up. 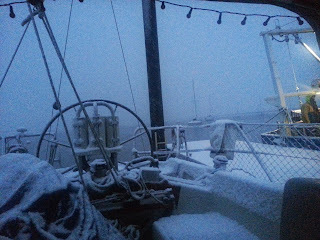 I'm saving up for diesel heating to make winter sailing a possibility. 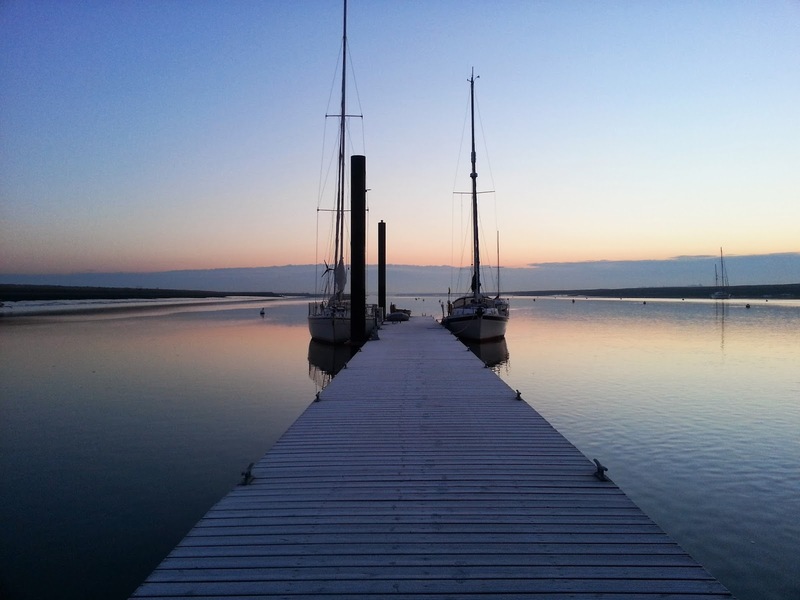 North Fambridge Yacht Haven in Essex - freedom to breath in a beautiful peaceful place.